We&apos;re in the heart of summer, which is a great time to visit Hendricks County. We have a ton of stuff happening this weekend, so let&apos;s check out some of the ways that you and your family can celebrate summer with us! It&apos;s Fair Week in Hendricks County! The Hendricks County 4-H Fair is where it&apos;s at all week, including this weekend. Bring your family to the Hendricks County 4-H Fairgrounds & Conference Complex in Danville and enjoy all of the livestock, carnival rides, fair food, special events, exhibits, competitions and camaraderie that our county fair has to offer. On Friday night, don&apos;t miss the Hendricks County 4-H Fair Championship Rodeo that begins at 7:30 p.m. For more information, including how to purchase tickets, click here. Then on Saturday evening, it&apos;s destruction galore during the 38th Annual Demolition Derby presented by the Pittsboro Jaycees. The derby begins at 7 p.m., and you&apos;ll want to click here to learn how to get your tickets. 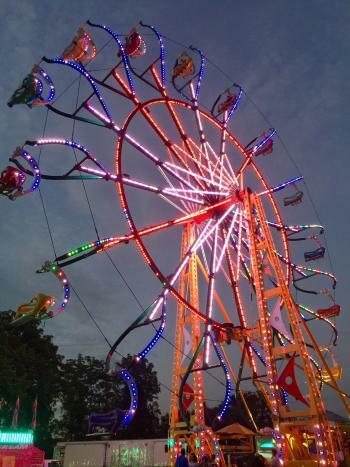 There&apos;s a lot more to do at the Hendricks County 4-H Fair, so read up on 7 Can&apos;t-Miss Things to See, and then check out the entire fair schedule by clicking here. Cruisin&apos; in Coatesville is one of my personal favorite events of the year, and it takes place on Saturday from 7 a.m. to 2 p.m. in downtown Coatesville. 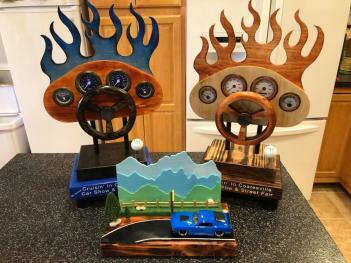 More than 200 hot rods and classic cars will compete for custom-made trophies, the fire department hosts a goodwill-donation pancake breakfast, there&apos;s live music by local favorite Pack of Chihuahuas, there&apos;s a car show bingo, a poker walk, shopping and much more! The event is free to attend, so the whole gang can enjoy some family fun! Click here for more information. Get your shopping on at the 40th Annual Brownsburg Festival of the Arts at Arbuckle Acres Park in Brownsburg on Saturday from 8 a.m. to 3 p.m. Admission is just $3 per person (kids 12 and under are free! ), and then you and your family can peruse the works of more than 125 arts and crafts exhibitors from all around the Midwest, including painting, woodworking, photography, jewelry, pottery and more. Additionally, the Festival of Arts features a food court, live entertainment throughout the day and a children&apos;s tent -- fun for the entire family! Live music by Living Proof will take center stage on the historic Hendricks County Courthouse Square in Danville on Saturday at 6:30 p.m. during Summer Sounds on the Square. Living Proof is an Indianapolis band known for playing a wide variety of music, including dance, funk, hip-hop, pop, rock and more. 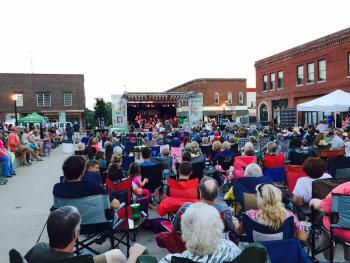 This popular monthly event brings people and their lawn chairs to the square to enjoy music with food and adult beverages available for purchase. Admission is $7 per person age 21 and over, while those under the legal drinking age are admitted for free! McCloud Nature Park, just outside of North Salem in the northwest corner of Hendricks County, is a beautiful park during the day, and on Saturday night, it becomes an ideal spot for the entire family to view the night sky during Hendricks County Parks & Recreation&apos;s free Astronomy program. The Indiana Astronomical Society begins the evening at 9 p.m. in the Nature Center with a sky seminar to inform participants about what to expect to see and where to find constellations, planets, stars and other astronomical phenomena. Then borrow one of the provided telescopes (or bring your own) and explore the night sky away from light pollution. This was just a mere sampling of all there is to do in Hendricks County this weekend. For even more family fun, be sure to visit our Events Calendar anytime. There is plenty to do for all ages and all interests. I hope to see you here this weekend!